Summer is here and hunters are in full-blown scouting mode for this coming fall. Welcoming summer brings about velvet antlers, new adventures, and plenty of fresh air as people are looking forward to exploring the different parts of the country. As hunters are hitting the hills, there is another group of outdoor public land enthusiasts gearing up to do the same. That group of people are your hikers and backpackers. All of them love the great outdoors and the public lands that they get to explore. Some are there to find peace and serenity in nature, while others are there to find the next great alpine fishing hole or a lake to beat the summer heat. But as outdoor enthusiasts, there is a good chance that you will be crossing paths on your adventures. Being someone who got into hunting later in life without any guidance or mentorship, I have a different view upon hikers and backpackers. Before hunting completely captivated my thoughts, I worked at REI and I was a poster child for their store. There wasn’t a thing that the store offered that I didn’t participate in. Backpacking, rock climbing, mountain biking, snowboarding, you name it, I did it. Part of the fun in participating in those sports and activities was the joy in being able to share the moments and accomplishments with others. In this lied the issue. How do I go about inviting others to try something new that they wouldn’t normally participate in? One of the ways I was to be able to invite others to join in on some of my endeavors was by offering them the ability to get out and enjoy nature. A simple invite was all it took. They didn’t have to be into rock climbing, but I would ask them if they would want to go on a hike with me to a location where I was going to be climbing at. This was the beauty in it. The simplicity to encourage others to get outside, see something new, and possibly get hooked into a new experience and lifestyle. It was with the invite to get outside and hike that opened the door to others the opportunity for them to join me on my adventures and find a love for what our land has to offer. Maybe rock climbing wasn’t their thing, and that’s ok! Maybe it was being in a place where few people ever go or it is being in a location that they didn’t even know existed. It only takes a spark to start a fire, and it only takes an invite for someone to say yes. So what does this have to do with hiking and scouting? Great question. Scouting is the tool that can be used to hook the 80% of Americans that are undecided when it comes to hunting. Very few people hate or dislike being outside, let alone despise the beauty of what nature has to offer and the excitement that it brings. So why not invite people along on your scouting adventures? Why not show them how to find animals? Why not allow them to fall in love with hunting the way you have? Are you afraid of giving up a location? Are you afraid to show someone how in case you might be doing it wrong? These are all some questions you should ask yourself. When talking with my fellow team member about hunting and scouting, I said to him, “Scouting is hiking, but with a purpose.” He responded with, “That is exactly what I have been talking to my wife about!” His wife, before being introduced to scouting, loved to hike but didn’t understand the fascination with hunting. But after an explanation about the whole idea of hiking with a purpose, her view on hunting changed completely. The whole idea about hiking with a purpose is to be able to notice nature more so than you normally would. It helps immerse you in the adventure even more. As a reader, a book would not be enjoyable if it never gave you any details of the story to fill your mind with pictures. Looking for the different animal signs, scrapes, prints, and the possibility of seeing animals sets the stage for adventure, therefore engaging your senses to the max. The last thing that makes scouting a great way to bring hikers and backpackers into the fold of the hunting community, would be the fact that there is no “end goal.” Sure, seeing the animal or signs of them would be the end goal for the hunter, but remember that this is a recruiting tool to hook people into becoming hunters. For a hiker or backpacker, the fact that there is no “end goal” is the beauty in it. You do not just make it to the end of the trail, take a look around and then start your journey back home. When scouting, you go until you feel like you have seen enough or call it good. There is no final destination. Life is about the journey. The blue car he likened it to enjoying the journey on your way to your destination and only competing against your own best self. He called this the “Success Road.” The point that Coach Westering always tried to drive home (pun intended) was that if you are always competing with others and only looking for your final destination you will end up being disappointed and have a feeling of wanting more at the end. You see this a lot when we talk about the size of animals and their antlers. If we are enjoying the journey than you are already successful. So how does the red and blue car connect with scouting? When you invite someone out scouting with you, it allows them the opportunity to experience a different side of hiking. A side that slows things down and allows them to experience the journey and not just the destination. It helps them to get an understanding of what hunting is all about. Hunting is more than just bringing meat home for the family. It is a process that enriches the lives of the people who have the opportunity to experience it. It teaches discipline, grit, determination, and most importantly patience. Scouting and hiking are all about the journey and enjoying the process otherwise known as the success road. If you are in the red car and your end goal is only the final destination then you will be greatly disappointed in scouting and hunting but also in life. Invite people along with you when you scout and allow them the opportunity to see how scouting and hunting allows them to enjoy the journey. You never know who might fall in love with it. We want to know what you thought about the article. Tell us your thoughts below in the comment section. Don’t forget to subscribe! I couldn’t agree more . Coming from the stand point of a new adult hunter and former avid hiker. Scouting is so much more than hiking you read the land , the story that nature plays out . You get the views of the hike , the work out and the understanding of the game you presue. Great write up ! Keep it up ! Thanks for reading and for your thoughts. I like how you said “the story that nature plays out.” There definitely is a story, you just have to be willing to look for it. Awesome read and lots of good points here!! Thanks Tadd! I think there is lots to be learned and shared through scouting. 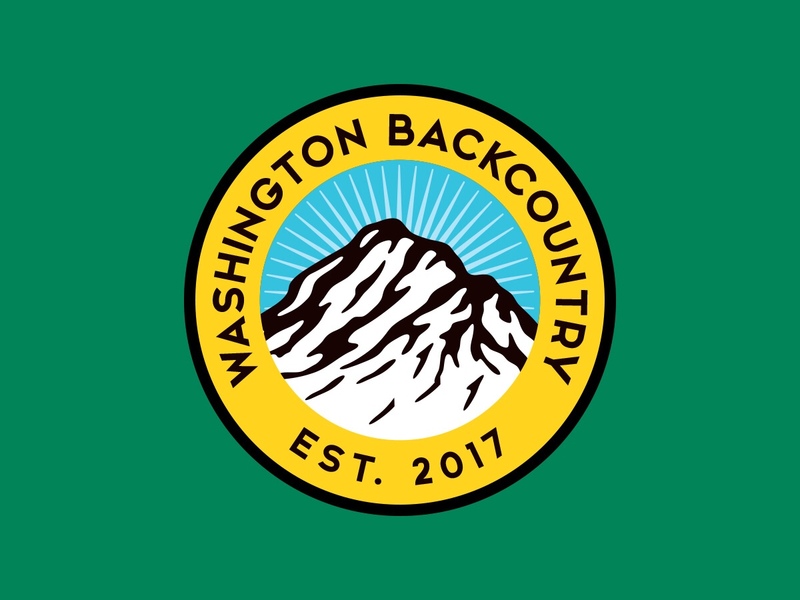 Washington Backcountry was founded on mentorship and recruiting new members to the hunting community. Thanks for reading and sharing.